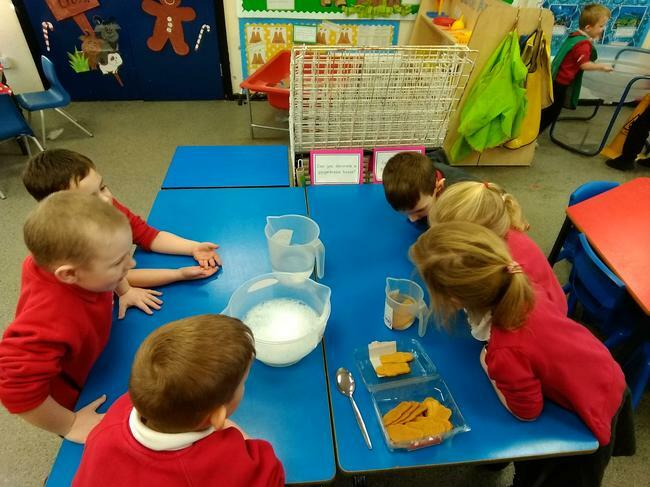 This week we had a visit from the gingerbread man in our classroom and he made himself very at home in the different areas around the room! 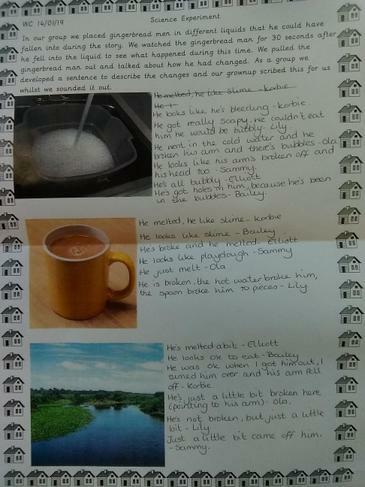 The little old lady had sent us a letter to ask if we had seen him so we have been writing replies to explain what he has been up to. 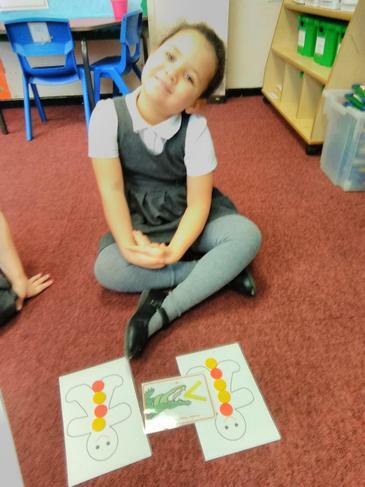 In maths this week we have been talking about more and less. 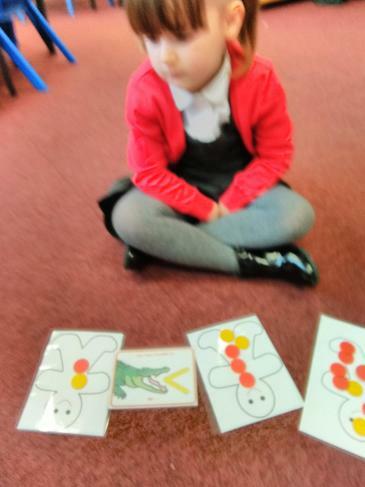 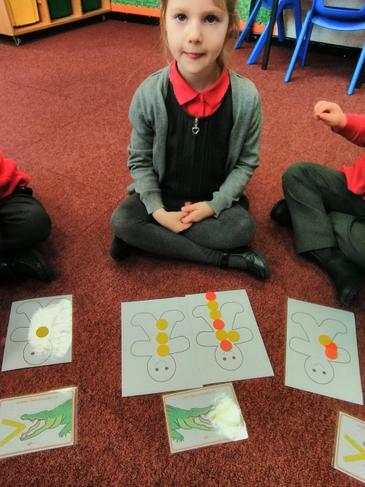 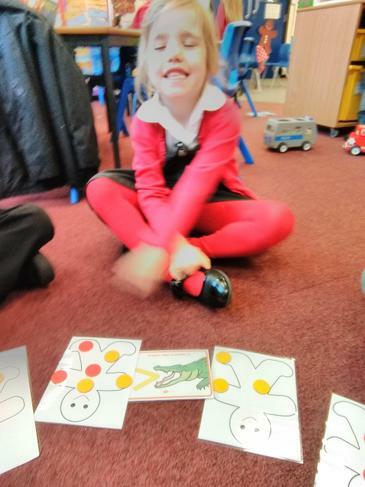 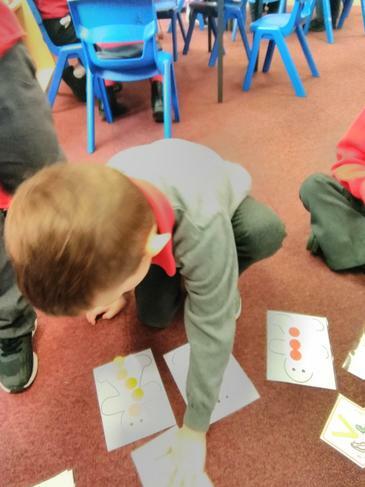 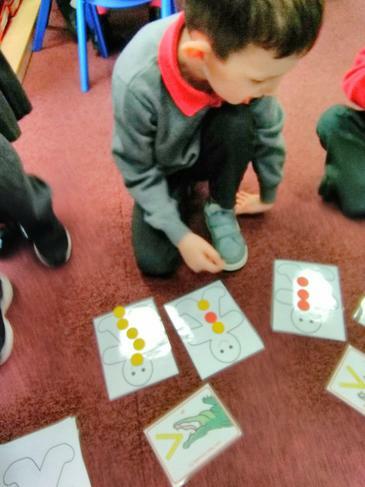 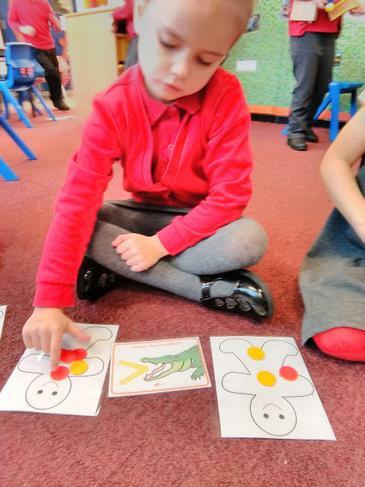 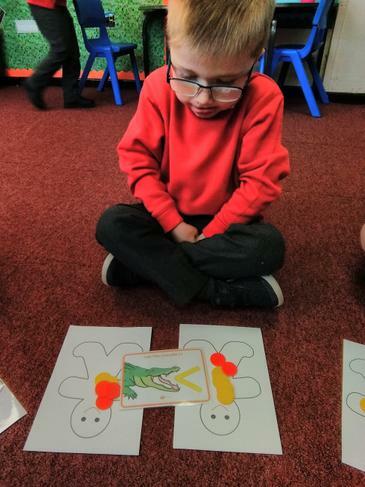 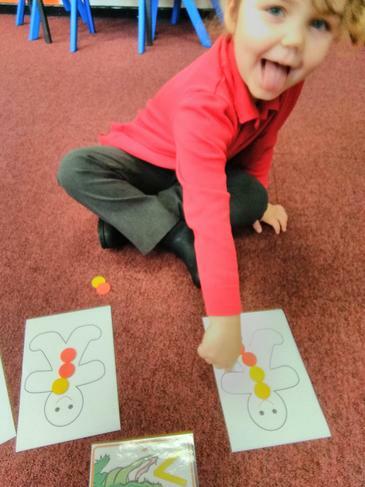 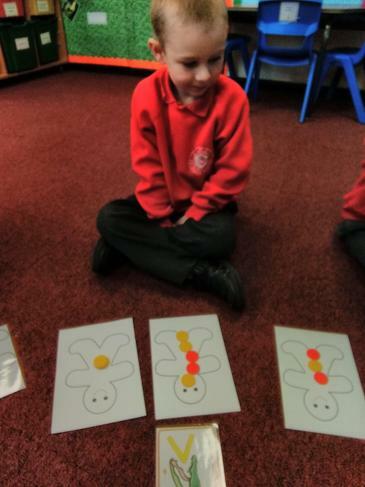 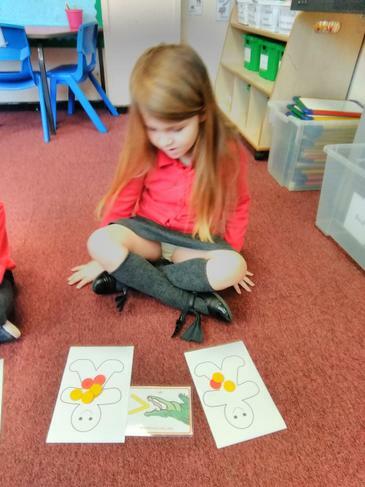 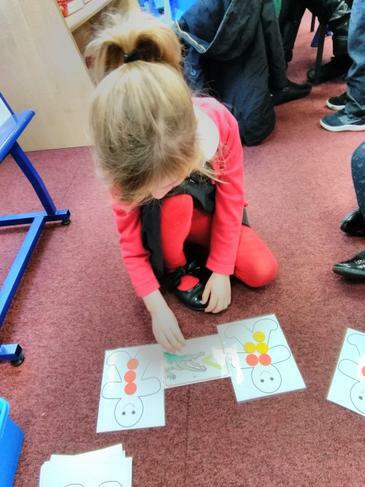 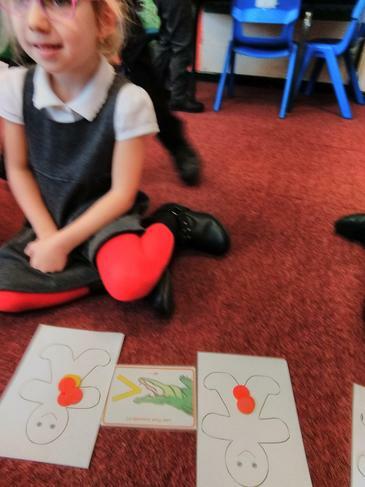 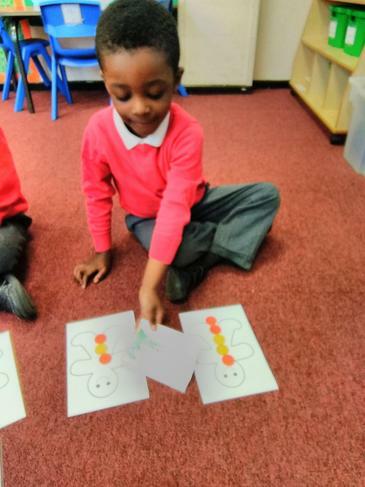 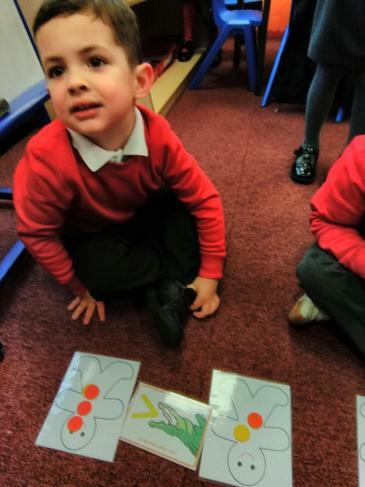 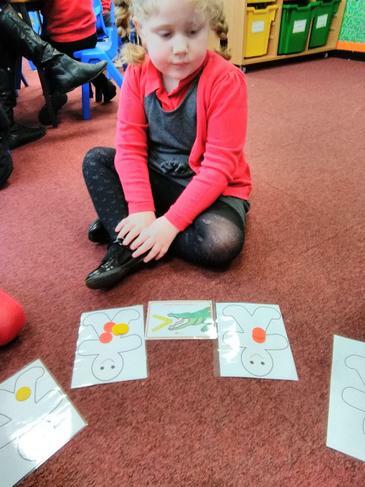 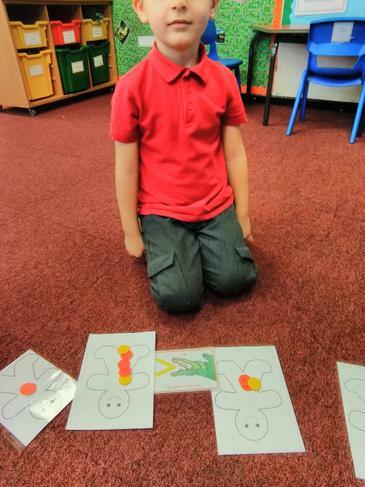 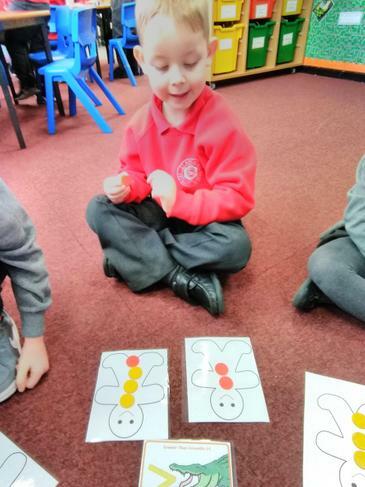 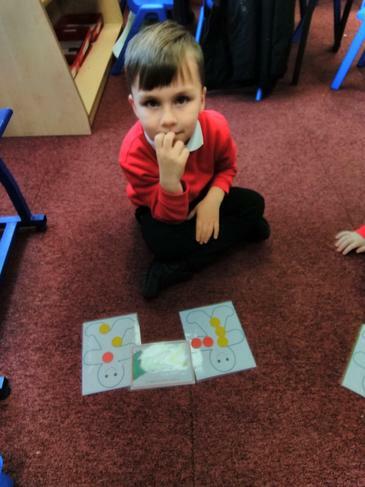 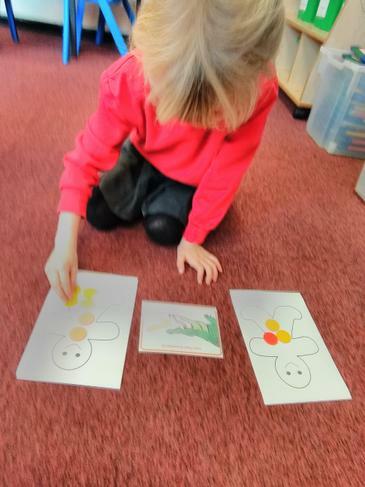 We looked at which gingerbread had more buttons on and started to show this using Charlie Crocodile and the more sign. 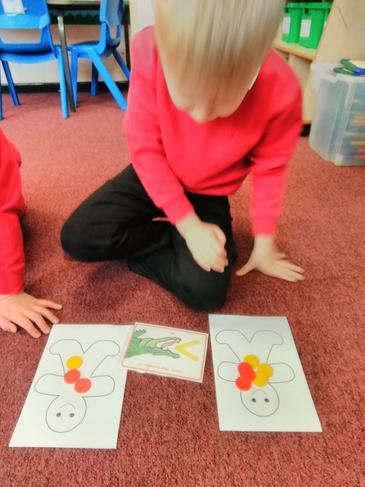 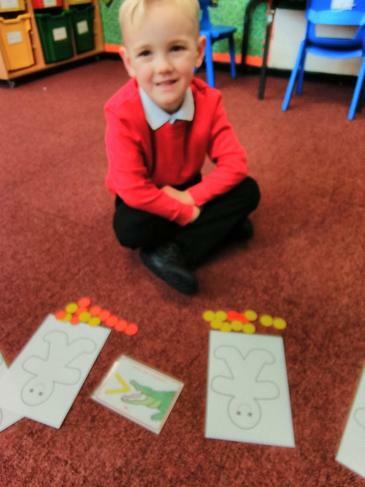 This week we have been independently collaging our own gingerbread men. 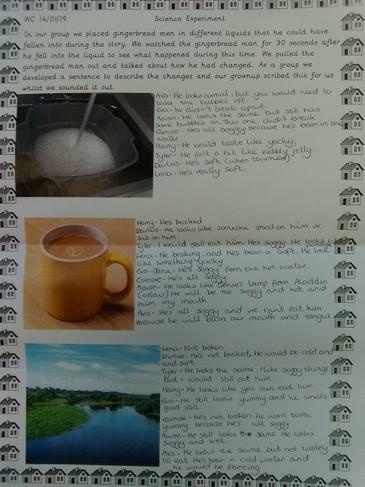 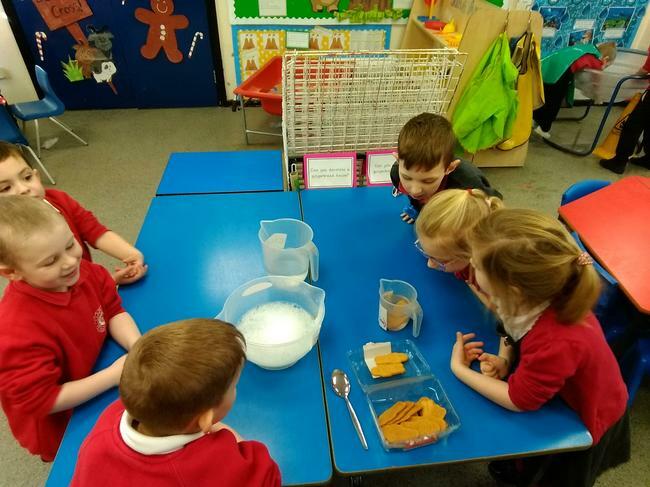 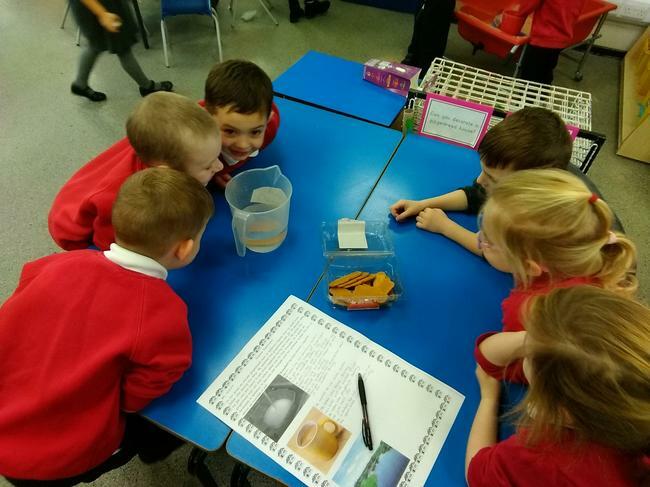 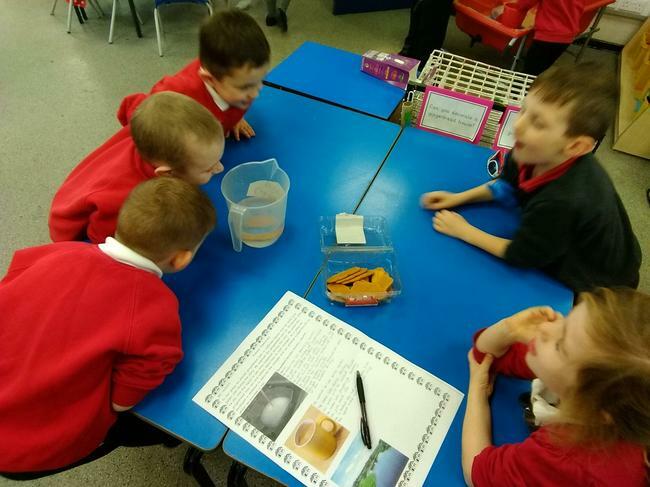 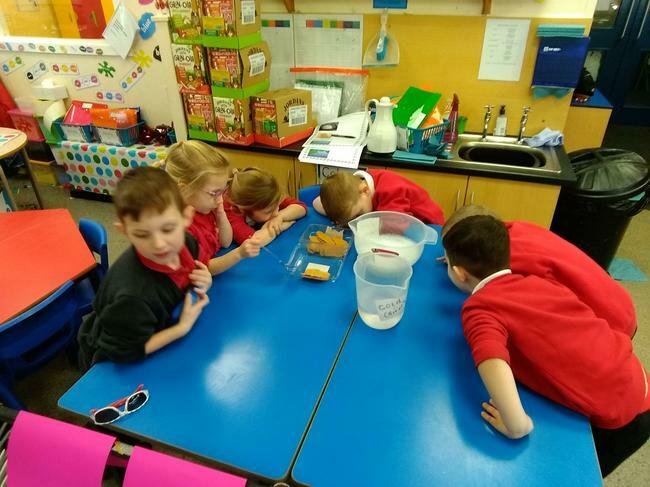 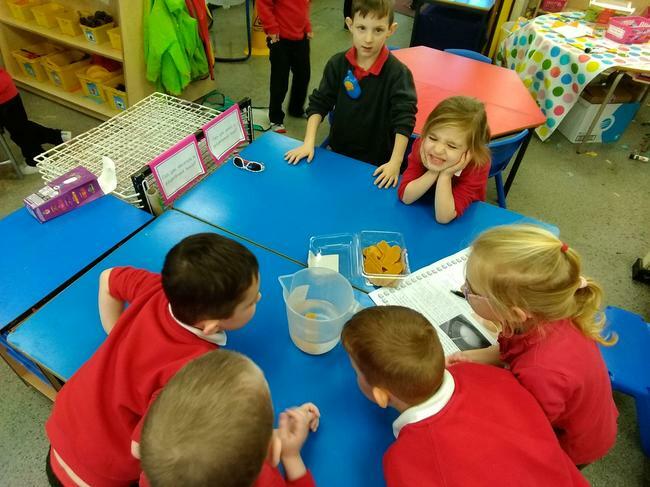 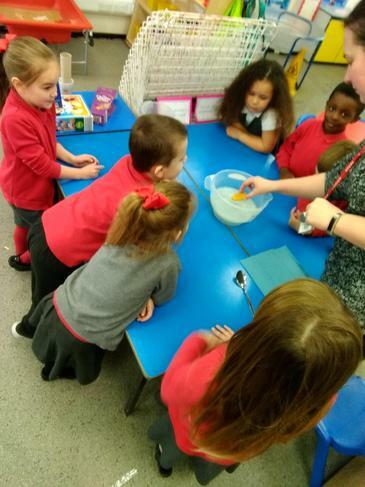 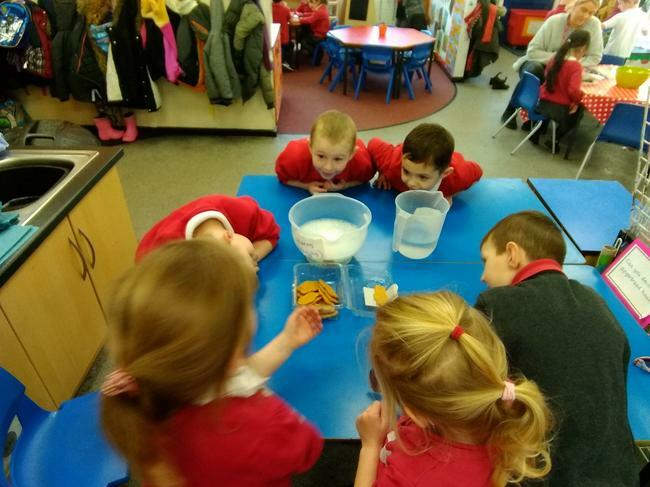 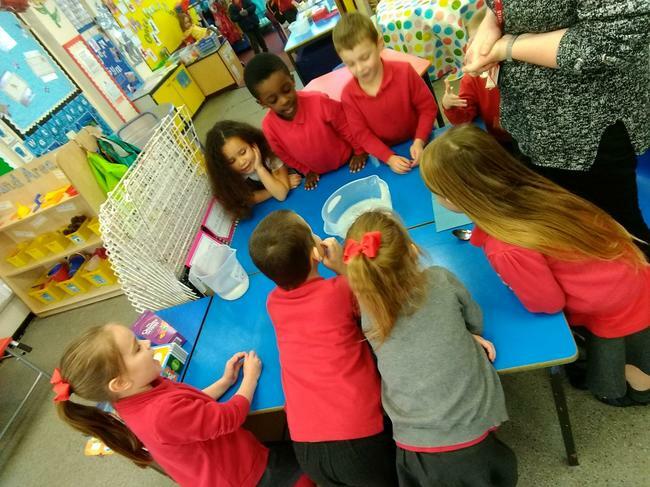 This week we have been doing our own science experiment to see what would have happened if the gingerbread man had fallen into; a cup of tea, a washing up bowl and the river. 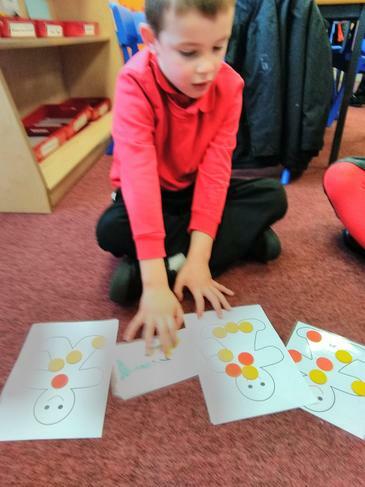 We talked about our ideas and then recorded our findings.